The division of the parties' property and finances in Family Court are covered primarily by three issues: child support, alimony and equitable division of assets and debts. Most cases will deal with a combination of these and they, to some degree, tend to compete against one another: what factors favor an alimony award, such as long-term dependency on the husband caused by being out of the work force for a long time, works against a big property division because, if the wife's been out of work, she hasn't made much of a monetary contribution to the family wealth. Monetary child support is one of the few things in Family Court that can be determined with any degree of certainty because it is usually determined by the South Carolina Department of Social Services Guidelines. Basically, the parties' respective gross monthly earnings (or what they are capable of earning) are combined and the resultant figure, along with the number of children being supported, is placed on a chart that determines what the combined monthly child support will be. Added to that is the cost of health insurance for the child and child care expenses net of the tax credit. The resultant combined child support expense is then divided according to the parties' relative contributions to the combined gross income. For example, if the non-custodial father earns 75% of the combined income, he will pay 75% of the combined child support expense. A rough calculation can be made by following the steps in this link. Make sure you have each parent's gross monthly income, the monthly cost for daycare and the cost for covering the child on health insurance per month to run these numbers. As a general rule child support ends at 18 but can continue until the child finishes High School if it is specifically requested. College expenses can also be ordered in appropriate cases. Unlike child support, an award of alimony is the least certain financial award that can be obtained in contested litigation because the variables are many. Some of the factors include fault (economic fault, such as profligate spending or fault in the breakup of the marriage); the earning capacities of the parties; their relative health, education and ages; and the length of the marriage are some of the more important ones. The “default setting” is what is known as “periodic alimony,” which goes on until the supported spouse remarries (or cohabits with a significant other for a certain length of time) or one of the parties dies, and is modifiable later on if there has been a substantial change in circumstances. In special cases, alimony can be made in a lump sum, or for a specific period of time (“rehabilitative”) or as reimbursement for helping the other spouse obtain a high earning capacity, such as a scrub nurse who puts her husband through medical school. On occasion, more than one form of alimony can be awarded at the same time. However, if a spouse commits adultery that is not condoned (i.e., forgiven) by the other spouse, the first spouse is absolutely precluded from any form of monetary alimony in South Carolina. Assets earned or obtained between the date of the marriage and the date pleadings are filed are not necessarily divided 50/50. Unlike the eight “community property” States of Arizona, California, Idaho, Louisiana, Nevada, New Mexico and Texas where all marital assets are split equally, South Carolina is an “equitable division” State, where the percentages can vary depending on the circumstances. The major considerations a South Carolina Family Court takes into account are (1) length of the marriage; (2) the parties' relative direct contributions (i.e., earnings); (3) their relative indirect contributions (e.g., homemaker services) and (4) fault in the breakup of the marriage or in an economic sense (e.g., being a spendthrift). There are other factors, but those are the big ones. What is being divided is also an issue. To be put on the chopping block an asset must be “marital,” meaning that it was acquired during the marriage from income. The general rule is, if it was acquired from earnings made during the marriage, it is up for grabs. The fact the husband put 10% of every paycheck into a separate account does not make the funds in that account non-marital. Likewise, substitutes for income, such as an employer's contributions to a 401k account, are marital assets as well. Assets that were owned before the marriage or obtained from outside the marriage, such as inheritances or gifts to one spouse or the other but not both, are “non-marital” and the Court cannot divide them, although the Judge can consider, in dividing a marital estate worth $50,000, that one spouse has $5,000,000 in non-marital assets and the other is otherwise broke. An exception, though, exists: if the non-marital asset was somehow donated (“transmuted”) to the marital estate, either by (a) giving part or all of it to the other spouse, (b) co-mingling it with marital assets so as to be all mixed together, or (c) if it is “used in support of the marriage,” it is now subject to division. Caveat: This last one is not as expansive as it appears: merely living in the wife's premarital home for 17 years does not fall into this category; the “use” has to be inconsistent in keeping it as a separate asset, such as the wife using the husband's pre-marital 1965 Mustang automobile as her daily driver instead of keeping it up on blocks in the garage. The value of the asset has to also be determined. As a general rule, the Courts use fair market value (what a willing buyer would pay a willing seller when neither is under any compulsion to do so and both know all facts relevant to the asset's value). That value is as of the date the pleadings are filed, although assets that grow or shrink in value due to market forces alone (such as a stock brokerage account that neither party monkeys with during the pendency of the litigation) can be valued as of the date of trial. 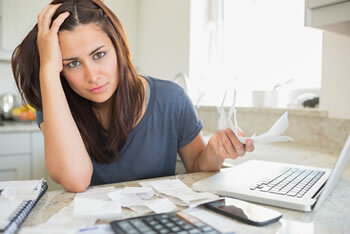 Debts are usually valued at date of filing as well. Once the Court determines what assets are marital, what their values are, and the overall percentage the marital estate is going to be divided will be, he will usually try to assign ownership in kind: if the wife gets the house with $100,000 equity, the Husband gets the $80,000 Porsche and a $20,000 piece of property in Union County and the retirement accounts will be divided in the same percentages. Because financial issues can be very complicated and are often the most consequential matters in a divorce case, experts will frequently have to be associated. Whether it is a forensic accountant to determine the value of a business, a vocational expert to establish an ability to earn income, or a financial planner to help an inexperienced former spouse decide what to do with a chunk of money that needs to be converted into a stream of income, selection of such individuals requires good judgment. The attorneys at Taylor/Potterfield have worked with –and sometimes against- many of the most prominent experts in Family Court cases. Whether a particular case can be resolved through a straight up and down approach or by a team effort depends on experience as well as knowledge.